aerial photo Oct.1968 courtesy Norrie & mustang . The aerial view of Dalmarnock, looking north, shows Rutherglen in the foreground and to the left with a clear view of Shawfield Stadium and Rutherglen Bridge at the top. That's Richmond Park immediately above the stadium. 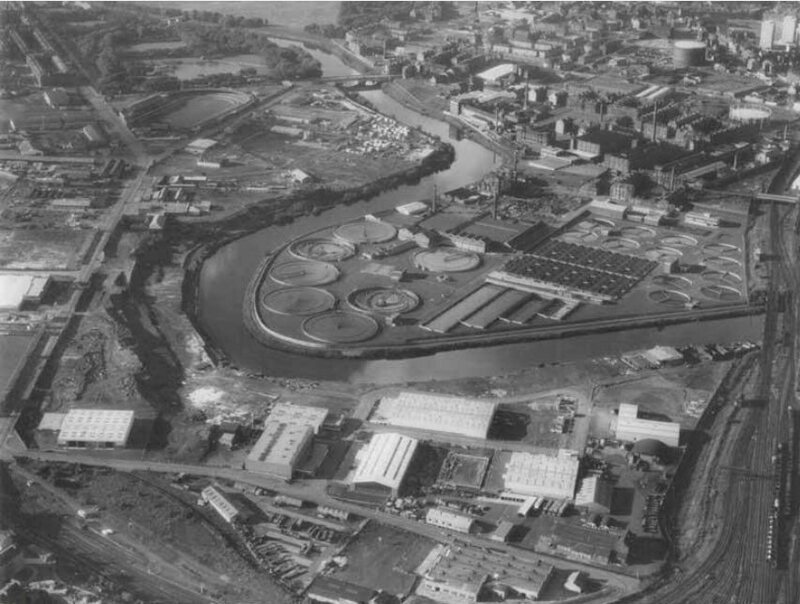 Carstair Street School and the Gas Works are shown above Dalmarnock Sewage Treatment Works which is located in the centre and surrounded by the River Clyde. The railway bridge to the right of the photo is the main rail route between Glasgow and Rutherglen. Dalmarnock Electric Power Station and Dalmarnock Bridge are located immediately to the east of the railway bridge but unfortunately are not shown in the photo.